This is second lesson of Social Media SEO tutorial for beginners. In previous lesson we discussed about importance of making your website social. In case you missed the first article then you can read the same at this link.In this lesson we will discuss Facebook as it is most popular social platform currently. How to use Facebook for your website? Above points will cover everything you would like to know about Facebook for your website. So lets get started. At the end of this tutorial you will have enabled Facebook for your website. This is the first step. Every website should create one Facebook page. This helps Facebook users to connect with you on Facebook. As a Facebook user you might have noticed sponsored post from a brand to like their page. Actually after registering a domain or before it you should create a Facebook page.The moment we think of creating website or blog we should also think of creating a Facebook page.So lets get started. You can select the option as per your requirement. For websites you should click on option Product or Brand. After click you will see Choose a category and Enter a product name as shown in the image. On the drop down at the very end you will see website option. 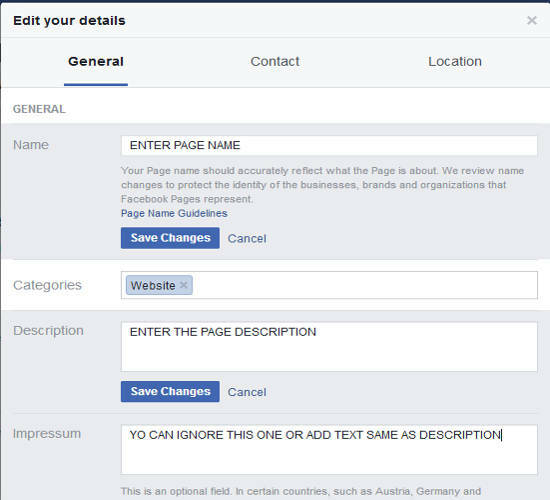 You can select the website option and enter name for your Facebook page. The name can be same as Website name. If you want to use different name then use a name which visitors can easily relate with website. After entering above details click on Get Started button. It will create your page. Now on next screen (as shown below) you can add a cover photo and Add a short description about your page. Facebook also has Page Assistant which helps you design the page as well. 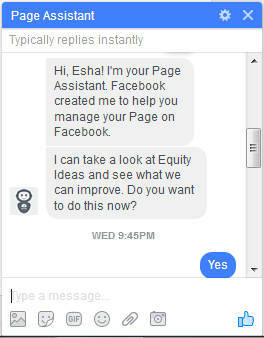 Facebook has also created Page Assistant. The Page Assistant will help you design you page. It is automated chat bot which chats with user who created the page. As soon as you create a page it will ping you. You can answer yes to take its help in page designing. It provides good help as well. You can take cation as it suggests and improve your page. In this section we will discuss some mandatory information you should enter on your Facebook page. These things will help you interact with your visitors. It also provides better experience to your page followers. To add these information click on the About option of your Page. On the displayed page you can set wide range of options. Click on edit page details. You will see below pop up. On the pop up enter all the details applicable for your page and save the changes. Creating a Facebook page is first step. It is important to increase Facebook page followers. You should make your page interactive and interesting. The more compelling a page is greater is the chances of it becoming popular with Facebook users. This is one strategy most of the sites use. Your hosting company offers you discount if you Like their page. On similar notes many websites offer free eBook on liking the page. You can have similar feature on your website. 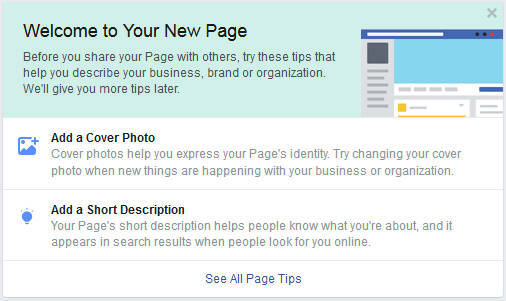 You can offer files to visitors after they have liked your page or content. This will increase your Page like. You can do the same using Social Locker plugin. You can see demo of this plugin on this page. You should always use Images and Videos.Images and Videos are eye catching. It attracts users. They are more likely to like share or visit a post with images or videos.People scan through their timeline. The text posts are often missed whereas images and videos are more visible. Even if you are posting your website article make sure your articles have featured image. Featured images are automatically fetched by Facebook once you paste a link.So if you are using Featured Image then you do not have to worry about creating an image while posting to Facebook. Note Videos are not fetched if you paste a link. So you can share your YouTube videos or upload video directly to Facebook. Frequency of sharing is important. You should share regularly. But it should not look as if you are spamming people. If you post too often like multiple times a day same link or variants of it then people make unlike as well. You can post daily and see how things go. Daily posting is more relevant for blogs or websites. For news sites posting frequency can be more. The time of sharing is also important. You should share when most followers of your page will be online. Posting too early in morning or during the noon or working hours is not good idea. I have seen good response to posts made in evening.People generally check their Facebook account in evening while traveling from office or during day end. So by posting at evening you are tapping both kind of users. Note not many posts are made late in night. So morning users can also see your post if it received any likes or shares. People should have a reason to like your page initially. There are multiple ways to increase your page followers. You can offer some free items (ebook or software or other similar items) for every like. That is visitors of your website will receive the item after they like your Facebook page. In case you are using WordPress then you can use my plugin Facebook like button to download . The plugin places Facebook like button on your website. Visitors can download file only if they like your page on of Facebook. We will discuss Facebook like button later in the article. I use this option on my education site to increase Facebook likes. It has done wonders for the one year old site as I have more than 22K followers of my Facebook page. The second option is to use Facebook Ads. You can create Facebook Ads to promote your website.This option is costly. In India every Facebook like costs around 3 INR or 4 INR. So the Facebook Ads method is way more costly than plugin method. But Facebook Ads method has one benefit. You can get likes even if you do not have any visitor. You can define target audience and promote your site or brand new content. This gives initial lift to your site. How to create Facebook App for your website? You should create a Facebook App for your website. Facebook App has several benefits. By default Facebook likes or comments or shares are not tracked by Google Analytics. You can use Facebook App to track details like number of lies, number of shares and referral traffic from Facebook. log into your Facebook account and then click this link. Click on Create New App to create new app. On the pop up window just enter a unique app name and click continue. Solve a simple captcha on next screen. Next click on edit app settings and enter details as mentioned below. 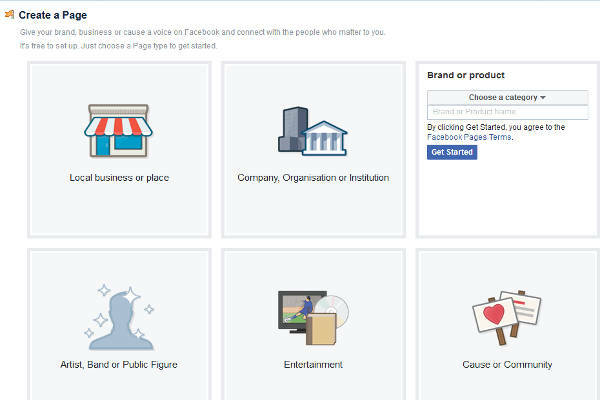 What is Facebook Social plugins? Now that we have a page created and App created it is time to add Facebook social plugins on our site. So far we have created our presence on Facebook. Now it is time to add Facebook to our website. Facebook social plugins are tools which help you embed Facebook on your website. Below are brief details of Facebook social plugins. You should understand every one of them to decide which one yo want to use on your site. Note you should not use all of them on your site.Note first we will discuss the plugins and then we will discuss how to place them on your website. While sing Facebook you have noticed your friends making comments on your posts. The same comment platform can be part of your website. Visitors can login to Facebook and then comment on your website article. They also have option to display the comment on their profile. The option to display comment on their profile is good traffic generator. Friends of visitors can see the comment. They can in turn visit your site or comment on the article. This will increase visibility of your article. Visitors can only comment if they are logged into Facebook. So no comments from bots. Any comments made on articles shared on Facebook page will be shown on the article itself. If visitor posts the comment to profile and profile is public then you get link from that public profile. This link is counted and helps in SEO. Facebook comments is slow to load. This increases page load time. We will see how to speed this up later in this article. Comment Moderation is performed on Facebook.It becomes difficult to reply visitors without visiting the article itself. This increases time to reply a comment hugely. You can not download the comments easily and store them on your site. So in future if yo want to remove Facebook comments from your site all comments will be lost. Many visitors may not prefer revealing their Facebook identity just to comment on your site. Should you add Facebook Comments on your site? Facebook comments may not be best option for all site types. You need to make sure people will reveal their Facebook identity on your site. People may not feel comfortable commenting on loan or health related sites using their Facebook identity. Using Facebook comment or not is more of a website owner decision. They need to understand their traffic type and see if they have good number of comments after using Facebook comments. If they do not then they can leave it. On my other site I placed it for one month along with default comments. So visitors have both the options. I saw good amount of visitor choosing Facebook comments. This helped me make my decision. Same way you can place the comment box on your site and see performance over a period of time. If it is working fine then you can keep it permanently. I personally prefer setting Facebook page as URL. It increases page like. Liking current page or other page does not help much in traffic. It does not prominently show in your feed. So friends will not notice much if you like any external page. This is the reason I prefer setting my Facebook page instead of any website URL. This is the concept used by my plugin Facebook like to download mentioned above in the article. This is the reason yo should always have a featured image for your post. Note featured image is WordPress term. For other CMS users like Drupal or Joomla or other technology make sure you have an image in post content. Normally Facebook fetches your first image and displays it along with URL when user shares your article on social network. Facebook share button can be configured to share any URL you want. You can share your home page or page on which button is placed. The shared URL is posted on visitor profile. So it is viewed by friends of visitor. This brings traffic back to your site. So Facebook Share button helps you improve SEO and bring traffic back to your site. This plugin displays your Facebook page. You can configure this plugin to display count of people who liked your page or images of them as well. Visitors can click this plugin to like your page. This plugin is same as like button if you configure like button to like your page. The only difference is that this plugin can show articles you shared on page or persons who liked your page. This plugin impacts load time heavily. So I prefer not to use this plugin on my site. But many sites use this plugin on their site.So I leave the decision on you. Note: Facebook page plugin is also known as Facebook like box in past. Both are one and the same thing.Like box is a heavy plugin.Addition requests are made to fetch picture of you page fans and also the plugin. Anything said above about Page plugin is applicable for Like box well. How to add Facebook Social plugins on your site? Above we have discussed all major social plugin. This helps you decide which plugin you should use on your site. The process to add those buttons are more or less same in all cases.I will discuss the best way first. Note these social plugins impact load time. Fast loading website is important for Search Engine Optimization. It is also essential for good visitor experience. The method mentioned will make sure page load time is not impacted. I will also mention which method is applicable for which site type (technology wise like WordPress, Drupal or all site types) and is best for load time. This step is required for all the methods mentioned below.This will help you in comment moderation.It will also help in tracking your website performance in Facebook Analytics. We will discuss about Facebook Analytics in detail later in this article. You should add below code above </head> tag of your website. In case you are using WordPress then your theme header.php file will have </head> tag. Add below code above </head> line. Note in below code you have to replace the numeric value after content= with your App ID. It does not impact load time. The social buttons are loaded after page load.If a visitors scrolls down your page then only social plugins are loaded. You can use it to add Social Plugins on any type of website be it PHP powered or any other language powered or any content management system. It involves code change. Code change is not complex but may be confusing for non technical users. Copy the below code and paste it above the </body> tag of your website after making below mentioned changes. If you are using WordPress then this tag is present in footer.php file of your theme. On the js.src line replace the below app id (152653031937456) with your Facebook app id. Below are standard HTML part. You can copy codes of social plugin you want to add on your website. Above like button will make visitor like the URL button is placed. If you want to make visitor like a particular URL then use below code. 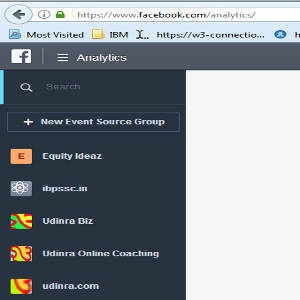 Note in below code you can mention your Facebook Page URL as well or your website URL (enter URL in data-href part that is replace https://udinra.com with your URL). We will later see one more approach to add Share button on your site.You can then decide which method to use.Also if you have added Like and Share button above then you can exclude this button from your site. You can paste below code on your website to add comments plugin. Above we have given codes of all four popular Facebook Social plugins. Now copy the code you want to add on your site and paste them as mentioned below. Ideally like button should be added below title and after post content. So paste above code in these places. In WordPress these places are located in single-post.php or single-content.php file. Page plugin should be added in sidebar or towards the end of page that is footer of the site. WordPress users can place it in sidebar using text widget. They have to paste above code in text widget using html mode. Comments plugin should be added after post content. If you already have a comments plugin then it can be added in place of that. WordPress users can add it in comments.php file. Generally this plugin has code for adding comments. You can search for comment_form(); in this file and replace that with above code. Above I have shared standard social plugin codes. But you can customize the codes as per your need. Facebook provides easy to use interface to customize the code. Below is link of social plugin on which you can customize the code. In method 2 we will discuss the easy way out. It is simple solution but it impacts load time.You should only use this method if you are not comfortable making changes in first method.This method will not work for all website types. I am covering for popular ones only. There are too many Facebook plugins on WordPress. There are dedicated plugins for each social plugin we discussed above. You should be really careful while selecting and installing plugins. You may end up installing more than one plugin. Below is link of Facebook plugins you can use. Note for Facebook like button you can use my plugin mentioned above. Drupal also has good amount of modules to make your site social with Facebook. You can use any one of the below modules to make your website Facebook friendly. Above we discussed that Like button is not that useful for traffic generation. I recommend using Share button on your site. This method is only applicable for Share button. This is best way to add Share button on your website. You can select any one of the method above to add Facebook Social Plugins on your site. Now lets see how to see track their usage. You may be interested in knowing number of likes or shares you received. There are two methods to track social plugin usage. This is simplest way to track social plugin usage. Facebook provides details like Likes, Shares,Comments and Referral traffic information in Analytics section. There is not much configuration required.Recall that we added Facebook App code in header of website. All your website interaction will be tracked under that App. Follow below steps to see your website statistics. You can click on Pages or apps to see usage details of them. I am not covering this part here. As the information is self explanatory. It shows number of likes,comments and shares your page or app received. You can also see referral traffic generated by Facebook. The Facebook Page Analytics is still a work in progress. For some pages it is showing the data.So you may have to wait for sometime. You should create one app per website. That helps you differentiate the performance for websites. I am listing out things you should keep in mind while using Facebook. Also I will list things you should avoid on this platform. Posting too many content per day is not a good idea. People may think you are spamming and may dislike your page. It is not good idea to use too many social plugins on your site. It may clutter your website and also increase load time which can hamper your website. It is good to respond to visitors query on your page or Facebook comments. The early you respond the better. You should use your Page profile to reply on Facebook comments.This gives exposure to your Facebook page profile. It is important to bring traffic back to your site from Facebook. It should not be other way around. People often over promote their page. So majority of interaction happens on page which should have taken place on website. Posting on Facebook page should be regular. You can post your new articles on Facebook page on the same day. You can use Facebook Analytics to see which plugins or combination is working fine for you.It is good to test and find out the optimal combination as early as possible and stick to that. We have covered everything needed to make your website Facebook friendly. There are few more social plugins but those are not used much by website owners. In fact I have not came across any website as of now who are using that. But in case you are interested to know all plugins offered by Facebook click this link. You can explore the plugins and decide which ones to use. You can use method one to place them on your site. You only have to copy the HTML part of code and paste it where you want to place the social plugin. Hey there. I am using wordpress together with nextgen gallery pro plugin. I did a posting with featured image and included a gallery containing 12 images. The sitemap created doesn’t contain any of them. Bahut hi helpful jankari di kyoki social media aaj ke time mein traffic increase karne mein bahut hi umda bhumika nabhata hai. Its very intresting and nice post.I got many information from your post which i was looking for.As iam a beginner to seo,it helped me a lot.Thank you so much.